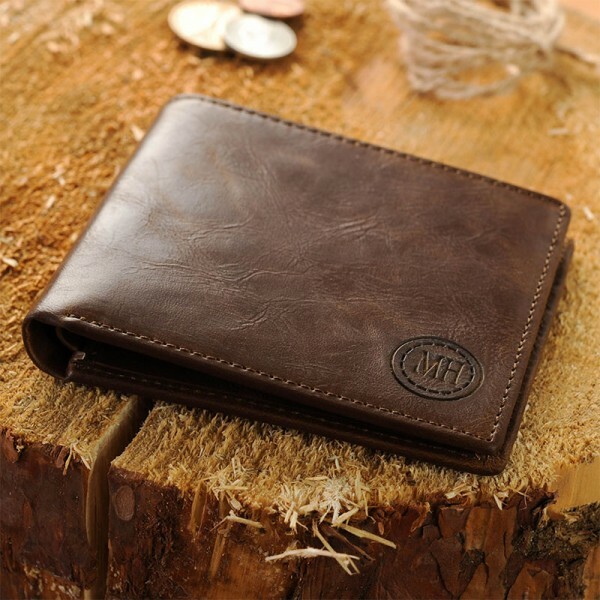 This is a classic leather wallet. Offering it in crazy horse genuine leather. 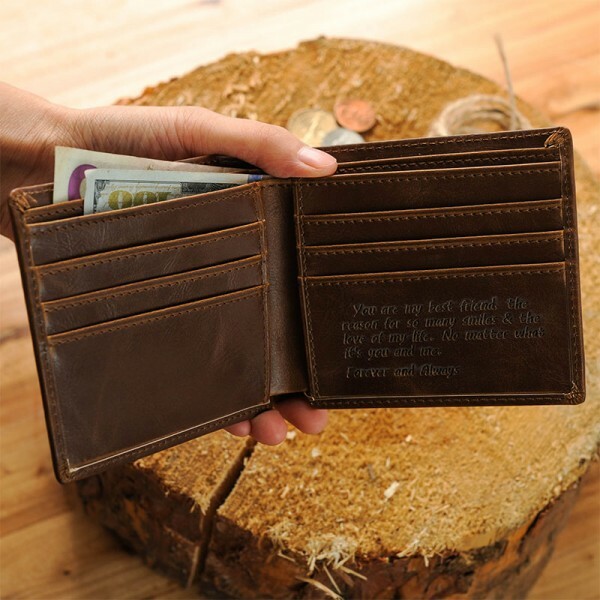 This wallet makes an ideal gift for your father, husband, brother even grandpa. You can engrave in any front and almost anything you’d like. Each of our leather wallets are handmade. Each of our handmade products are awesome and unique. 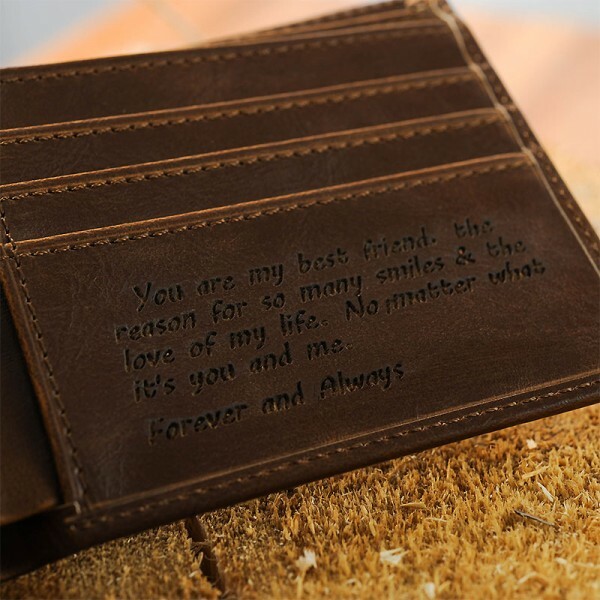 So, try to choose a unique wallet for your loved one! 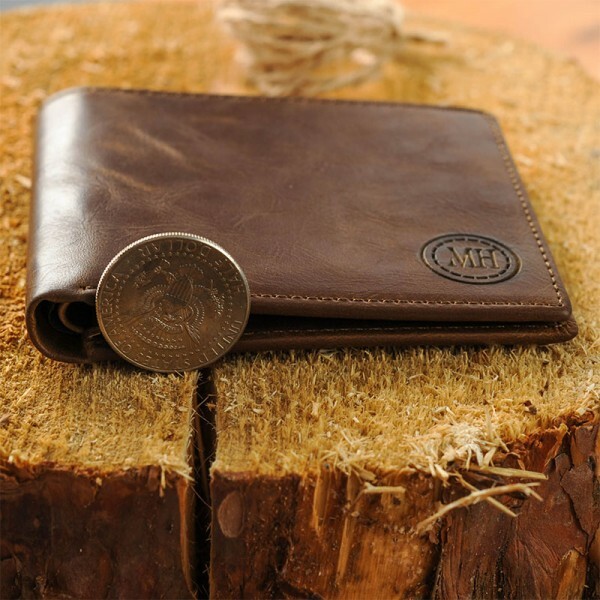 -Crazy horse genuine leather and strong wax thread is a guarantee the wallet will serve you for many years. - 6card slots,1 cash holder with 2 hided slots for folded money, 1 ID card slot. 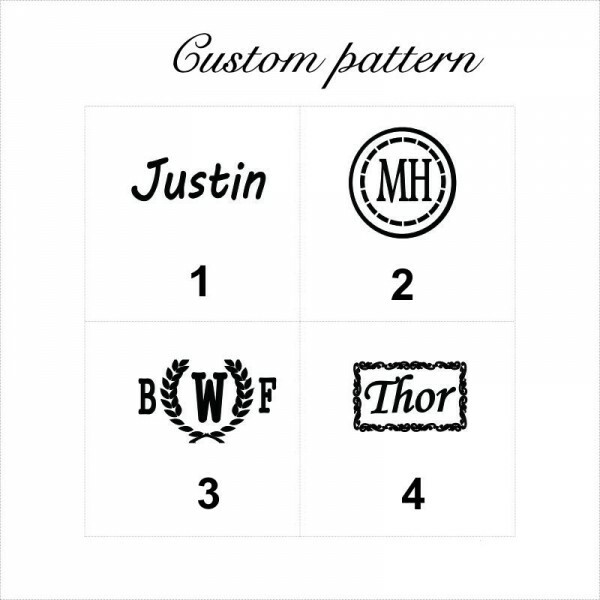 Question about Personalized Wallets For Him is Successfully Submitted.